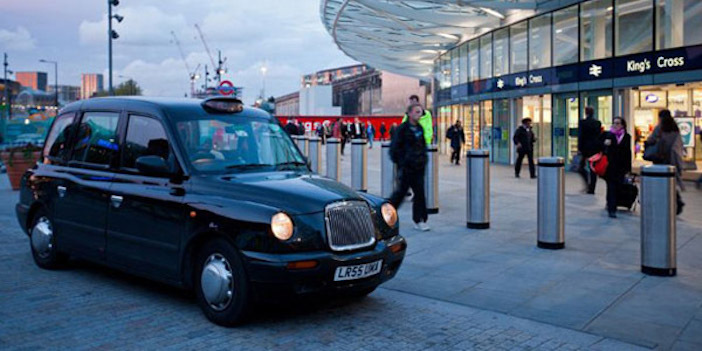 You are at:Home»Opinion»Are we ready to leap the hurdles of taxi regulation? Are we ready to leap the hurdles of taxi regulation? According to the New York City Taxi & Limousine Commission, there are currently about 13,500 yellow taxis in New York – some 1,700 more than when I was Traffic Commissioner for the city in the early 1980s, and a few hundred less than when the taxi fleet became regulated during the Great Depression. Society relies on regulation to create stability and provide for public interests. The regulation of taxis through a controlled supply of medallions – which govern the privilege of picking up passengers on the street – was introduced to address the problem of too many taxis in destructive competition. But we are also a technologically inclined species, always pursuing innovations that will benefit society. The ubiquity of mobility technology in just the past few years has enabled peer-to-peer ride-sharing services such as Uber, Via, Lyft, Sidecar and Bridj – a pop-up mass transit system being piloted in Boston. These services are relied upon by the younger generations. Unfortunately innovations in transport technology and the potential benefits to the public are becoming mired in a policy gridlock. In the face-off between the taxi industry and ride-sharing start-ups, there are valid arguments on both sides. Taxi operators who have made investments based on certain realities cry foul over changing the rules of the game, while consumers and entrepreneurs bemoan what seem like unfair restrictions. Before we can extricate ourselves from these quagmires, we need to understand the contexts that created them. While technological innovation is enabling the traveling public to make faster, more dynamic choices, the rules regulating our transportation system haven’t changed much in over a century. The taxi medallion system in New York is exemplary. Operating under a restricted supply for nearly 80 years, it has inadvertently established deeply entrenched property rights. A single medallion that sold for US$300,000 in the year 2000 now fetches about US$1m. So how do we handle all these new de facto transit systems created by apps? Carefully, I say. Taxi owners already feel threatened and recently filed suit in Chicago over the perceived regulatory double standard. Do we wipe out the assets of existing taxi license holders? Does Bridj lead to big losses for existing transit systems? If we go to the individual car service model for everyone, will we end up by reducing mobility as gridlock ensues? Then again, how can we not take advantage of the very latest technology? I also recognize that good transport is fundamental to economic competitiveness. With the global economy still in recovery, it’s a shame when beneficial innovations aren’t adopted quickly. Lengthy legal battles, regardless of who ‘wins’, swamp good ideas in controversy. Instead, we need industry to collaborate with government, creating technology-supporting policies that will gain support, benefit the public, incentivize greater innovation and actually increase mobility.